Proptech talk with Avamore's Michael Dean: If not bitcoin then what? Proptech talk: If not Bitcoin then what? Home > Articles > Proptech talk: If not Bitcoin then what? 12 Mar Proptech talk: If not Bitcoin then what? In the past six months, the price of bitcoin has fluctuated dramatically, from lows of $3,236 (£2,333) to peaks of $18,868, then back to a low of $5,952. Intra-day movements of 25% have been witnessed recently, showing exceptional volatility for a $250bn market-cap asset, attracting widespread interest from retail investors. ‘Tulip-mania’ comparisons have even been drawn with bitcoin’s recent meteoric rise and subsequent fall. Consequently, while bitcoin can operate as a speculative investment, de facto currency or even a reliable store of value, it remains challenged. As a result, it would seem rational to think that property prices won’t be listed in bitcoin until its price behaves within the usual standard deviations of a regular currency. This does not mean that bitcoin cannot be used in exchange for property. Neil Singer’s clicktopurchase scheme in the UK could allow this, combining an online execution recorded in a blockchain ledger, with a currency recording movements also in a blockchain. Bitcoin would be just another currency for the transaction. A property could be listed in pounds with perhaps a spot conversion to bitcoin on exchange. However, the seller would need to be willing to accept bitcoin (assuming the buyer is also willing to pay that way). Furthermore, the amount of bitcoin paid would need to correspond to the exchange rate for the local currency price agreed for the property at completion (stamp duty would still have to be paid in GBP). The few recently bitcoin-listed properties have not sold successfully, partly because the buyers/sellers could not find themselves agreeing a price in bitcoin, which in ‘real money’ could be 50% more or less in just a matter of days.Exceptions to this include Edward Casson’s Go Move, which agreed a bitcoin sale to a professional bitcoin ‘miner’, although this deal is not completed and the buyer is akin to a special purchaser. As bitcoin’s price rose inexorably in Q4, it developed a problem. It became clear that those who understood bitcoin wouldn’t use it and those who didn’t wouldn’t accept it – never a good thing for a currency. Bitcoin holders went from describing it as a cryptocurrency to ‘digital gold’ as a means of justifying its pricing. 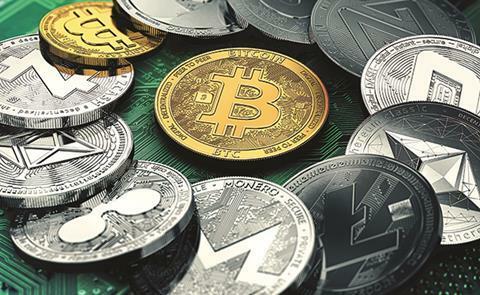 While in the long term, cryptocurrencies may gain traction in the mainstream and such pricing might be justifiable, there are strong signs that bitcoin may not be the cryptocurrency used by the masses. Regulatory issues aside, we need to consider bitcoin’s environmental impact. Mining bitcoin requires considerable energy (mainly fossil fuels) and it has been estimated that the system of computers that verifies bitcoin transactions consumes the equivalent energy resources in a year as the nation of Morocco. And energy requirements are likely to increase. Satoshi Nakamoto designed the system so that cracking the passwords required to mine subsequent bitcoin would get increasingly difficult and require more computing power (and energy as a result). So if not bitcoin, what other cryptocurrency could we use in future? Litecoin, for example, is a peer-to-peer cryptocurrency, inspired by and similar to bitcoin. However, the Litecoin network aims to process a block in the blockchain every 2.5 minutes as opposed to every 10, which will allow faster transaction confirmation (2.5 minutes vs nine minutes). Additionally, Litecoin has four times the number of coins for circulation, so users could transact in larger or whole units rather than tiny fractions of a coin as is the case with bitcoin. The key advantage of Litecoin over bitcoin is that due to the different cryptographic algorithms employed, it is mined more easily. As a result, Litecoin could become a more widespread currency, more useful in the long term and more environmentally acceptable.